If you haven't read any books this year, how are you learning? Books are not the only way to learn, but they offer a breadth and depth of varied learning opportunities that are unmatched. Unfortunately, the hit rate (what is good versus what isn't) for books is not very good. However, in these lists you can get just those books that I know are worth reading. In some cases, a book is recommended just for a small section or just a few chapters - but it is still really worth it. 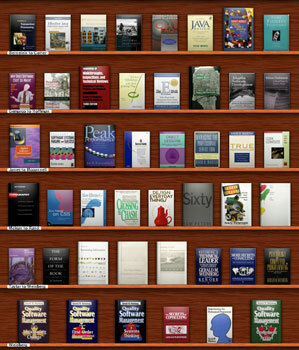 Books are categorized and may appear in multiple categories. I don't waste a lot of words or your time here with reviews. In fact, some books have no review at all. The books from my "A-shelf." I am passionate about every one of these books. Click to list all the books from my A shelf. Click to list all the books that I recommend.